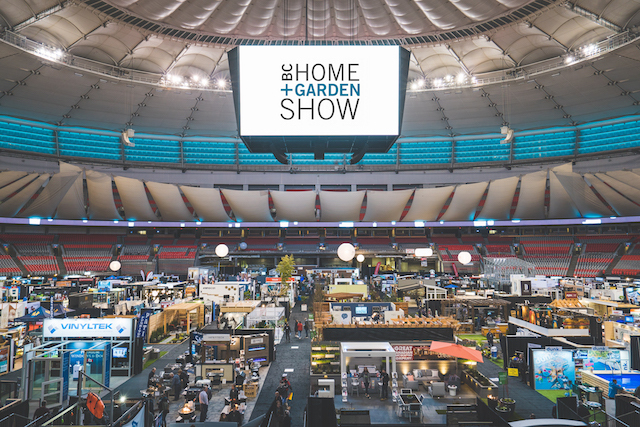 The 2019 BC Home + Garden Show is February 20–24, 2019 at BC Place Stadium, featuring HGTV Canada stars Bryan Baeumler of Island of Bryan, Mickey Fabbiano & Sebastian Sevallo of Worst to First and Carson Arthur of Home to Win headlining on the TELUS Main Stage. Catch exciting presentations from Vancouver’s very own award-winning designers and experts across all five days. Tickets: Adults (13+) $16; Adults (13 +) Online $14; Seniors (60+) $13; Seniors (60+) Online $11; Seniors (60+) $6 before 6:00pm on Thursday & Friday only. Children 12 years & under are free. Gather at The Cooking Stage for seminars and live demos from the city’s most respected chefs including Ryan Stone of Heirloom Vancouver and Fable’s Kurtis Perry. At the Vancouver Sun Gardiner’s School, rediscover your lost love for all things leafy with daily seminars from the Lower Mainland’s top gardening gurus and landscape designer Carson Arthur. Explore more than 3,000 square feet of innovative garden spaces designed to impress by Great Canadian Landscaping, Holley Landscaping, No Limit Landscape, Para Space Landscaping and more. Step inside a 32-foot yurt, styled by Jamie Banfield Design and imagine a cozy night spent with nothing but the sounds of nature in the background. Go for a test drive with Toyota Canada or step into the power smart house of Dave, one of BC Hydro’s very own employees… and much more! Portobello West, Vancouver’s favourite fashion and art market, is also showcasing a selection of the city’s top emerging artisans and craftspeople in a special home show pop-up edition. I will draw one winner at random from all entries at 12:00pm on Tuesday, February 19, 2019. Must be 19+. UPDATE! The winner is Christina M.! Follow the BC Home + Garden Show on Instagram, Facebook, and Twitter #BCHGS19 for more inspiration. Just talked with my boyfriend about this today. We would love to go and get some new ideas for our new home. Yes please!!!! I’d love to attend this event. This would be so amazing to win! Definitely need help with our home. Commented on fb post and tweeted! Definitely could use some help organizing my stuff! We love going to the Home & Garden Show! I haven’t been to the Home Show in years! Would be fun! This is a great show. I would love to go. My wife and I could use some tips on to better organize our home! Thanks. This would be a really neat experience! Need lots of help with organisation. Presentation, book and personal help would be so appreciated. I so need to get organized! This prize would be fantastic! The one hour one on one coaching session with Jane Stoller would be fantastic! Would love to win these BC Home & Garden Show tickets. I love the Home Show! Would love to attend and get some great ideas for the home and garden!! I went to this show for the last 5 years. Worth the money. Always love to go to the home and garden show! Would love to attend the home and garden show this year! Pick me pick me Hercules! We could all use a little “Jane Stroller” in our lives, some more than others…I confess. This would be inspirational and so many terrific ideas at the B.C. Home and Garden Show itself. Take away home improvement ideas! Liked Facebook. 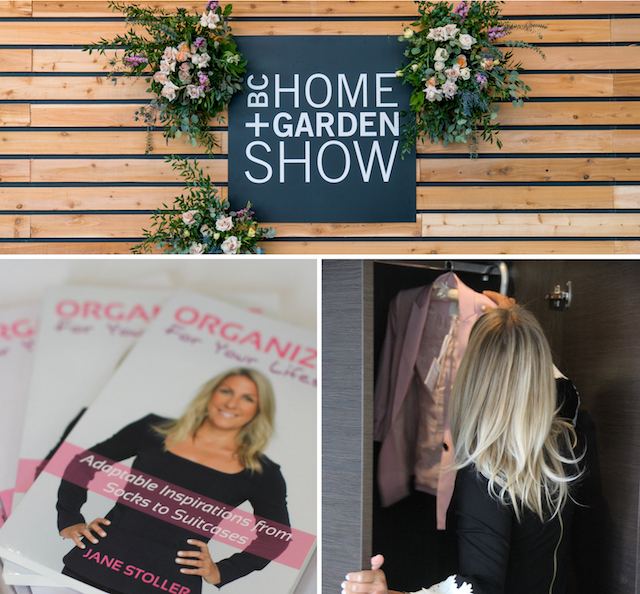 The recent Netflix series “Organise the World with Marie Kondo” motivated me to participate this year’s BC Home Show… time to tidy up things at home and need to search around techniques and tools! Thank you in advance. Would totally love the coaching most. And love all the rest too. Good luck. Huggies.